The training in Cuba of health professionals has been very fruitful for Chile, said professor Jhonny Acevedo from the Medicine Faculty of Chile´s University. Acevedo is a delegate at the 3rd International Convention on Technology and Health underway in Havana. Speaking to PL news agency the Chilean professors said that he has noticed the high quality of professionals from his country who have been trained in Cuba, because as a directive he has hired them to work in primary health attention. 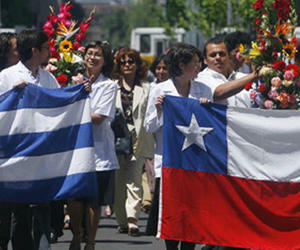 “They return to Chile very willing to show what they have learned here and this really makes me very happy,” said the doctor and noted that the Chilean youths became doctors only because they came to Cuba for that, since it is very difficult for low-income Chileans to go to university under a neo-liberal driven social system. The doctor said that although they are making efforts to reform public education towards improvement, there is still a long way to go in Chile.